The 2012-2013 school year saw our inaugural essay contest, Making Democracy Work, in celebration of our 50th anniversary year. Our winners, Omar Qureshi and Vaishnavi Rao, won a cash prize for themselves and for their schools as well as a trip to Washington, DC to receive their awards. In this school year, we challenge middle- and high-school students to reflect on the rights and responsibilities of citizenship. Students should consider the rights that are guaranteed by the Constitution and the corresponding duties that citizens owe to implement and protect those rights for themselves and for others. How do these rights and responsibilities affect you and your family? Why is it important to be aware of your rights and responsibilities? Winners in both the junior (grades 6-8) and senior (grades 9-12) receive a trip to Washington to accept their $1000 prize. Second place winners in each category receive $500, and third place winners receive $250. For all the details about entry, please visit our website. Editor’s note: As DC endures typical July humidity and swelter, here’s a reminder that there are ways it could be worse. As the other interns and I continued our research for USCHS’ 2016 We, the People calendar, which will have a fact for every day in 1816, we periodically came across letters and newspaper articles describe these extreme, upsetting, and at times dangerous weather conditions. Frosts coated crops throughout July; extreme drought plagued the nation; and the heat of summer simply never arrived. But just as challenging for these early Americans was their total lack of knowledge of the reason behind this frigidity. Were cold summers the new norm? 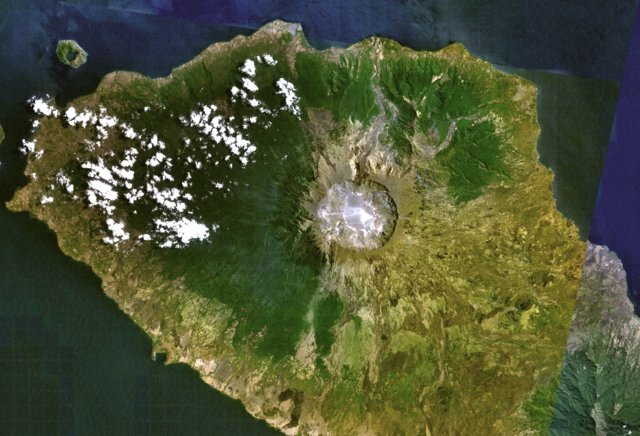 Today, 1816’s “Year Without a Summer” is largely credited to the eruption of Indonesia’s Mount Tambora a year and a half before, in April 1815. At the time of the eruption, now considered a Volcanic Explosivity Index-7, 10,000 Indonesians died as the volcano blasted rock, dust, and gas twenty-five miles up into the atmosphere and caused tsunamis to ravage the coast. But without Twitter, email, or telephones, news of the eruption traveled slowly, if at all. Europeans and Americans heard nothing about the destruction. Ash and dust filled the air and began to slowly circle the earth and block out the sun’s heat and light, but a year later Americans knew only the resulting backwards weather patterns. Now it is well known that the heat of the sun exhales from earth abundance of vaporous combustible matter… The great part of these exhalations are carried forward to the sun, and…they hide for a while [on] part of the sun on which they fall, and they appear as spots to us. By the shade they make, they cool the atmosphere, and thus produce for a while a cold in proportion to their size and continuance. This we have experienced since the large spot last spring. …But it is feared…all our northern atmosphere has been affected by it, and we may expect to feel its effects for several seasons. The general idea of some “matter” blocking out the sunlight is true, but the pseudo-science about the sunspots is, well, pseudo-science. Though laughably incorrect today, this opinion was widely taken as the truth throughout 1816; many other newspapers articles throughout the summer and fall blamed the chilly weather on sunspots. But despite the uncomfortable cold, uncertainty of its permanence, and resulting poor crop yield that fall, some Americans still found humor in The Summer that Never Was. Five days later, on September 3rd, another writer from the Intelligencer jokingly connected the cold to a symbol of America’s victory over Canada in the recent War of 1812.“It seems very strange to me that ever since our late ‘just and necessary war,’ these Canadians winds have all blown so cold upon us!” he wrote.“At this rate it is very clear that Canada must be ours, or we must all migrate to the southward in a very few years!” Fortunately, the “Canadian winds” did not last past 1816, but the unusual weather did begin a great migration—not south, but west, as many New England farmers gave up on their crops and began to explore the westward frontier. “1816 Diary Records a Summerless Year.” New York Times (1923-Current File), Apr 16, 1939. http://search.proquest.com/docview/102778221?accountid=10244. C., J. “Spots on the Sun.” Daily National Intelligencer, August 29, 1816. 19th Century U.S. Newspapers (GT3017476968). Evans, Robert. “Blast from the Past.” Smithsonian magazine, July 2002. http://www.smithsonianmag.com/history-archaeology/blast.html (accessed April 26, 2013). 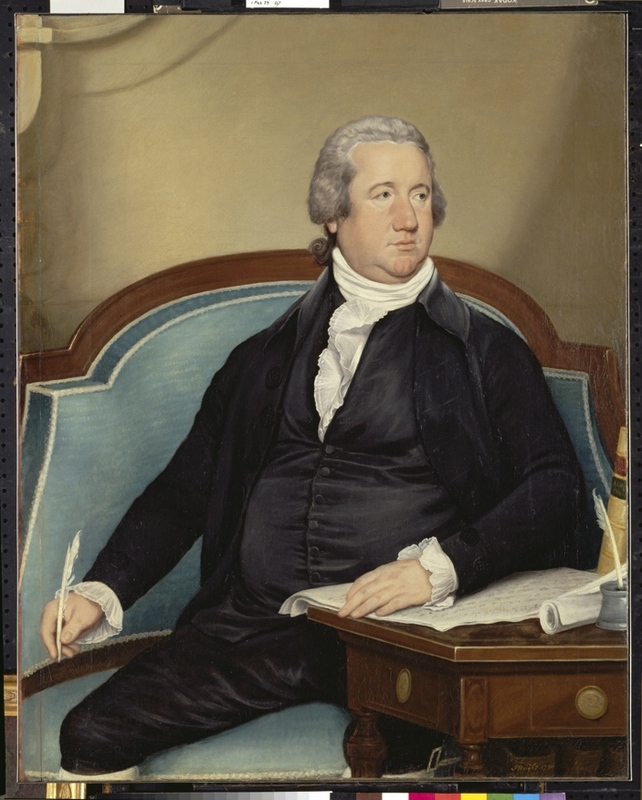 S., H. G. “The Season and Climate.”Daily National Intelligencer, September 3, 1816. 19th Century U.S. Newspapers (GT3017480571). National History Day is upon us again! I wrote about it last year but wanted to alert new readers to this lovely annual event. I can’t wait to talk to this year’s essayists tomorrow; others on our staff will be watching performances or evaluating websites. If you’re free this week and in the DC area, consider heading out to College Park to see how exciting history can be! Today and tomorrow, hundreds of kids will be nervously presenting the fruits of their historical labors at National History Day. Middle and high school students have written essays, performed plays, and created exhibits, documentaries, and websites as part of a national extravaganza of history research akin to a humanities version of a science fair. They’ve advanced through local and state competitions to win spots at the national finals at the University of Maryland. USCHS has been fielding a team of judges for many years, usually reviewing high school papers. Some on our staff are also former History Day competitors. Around here, we love History Day! It’s an amazing encounter with youth and enthusiasm, and we always learn a few things about one or more of the topics. (Though we didn’t have a paper on the Amish this year—unusual.) History Day also reminds us about the importance of the work we do here, not just in terms of educating the public about the history of the Capitol and Congress, but also about the value of renewing the spark of inquiry and the skills of investigation in a rising generation of learners in all fields. Check out History Day online, and if you’re really curious, consider going to UM this week to see some of the live presentations. You can also get involved on the local level by mentoring students, volunteering, or judging local and state competitions. I can’t recommend it enough—you’ll come away impressed with the students and with a reinvigorated appreciation of the work of history. 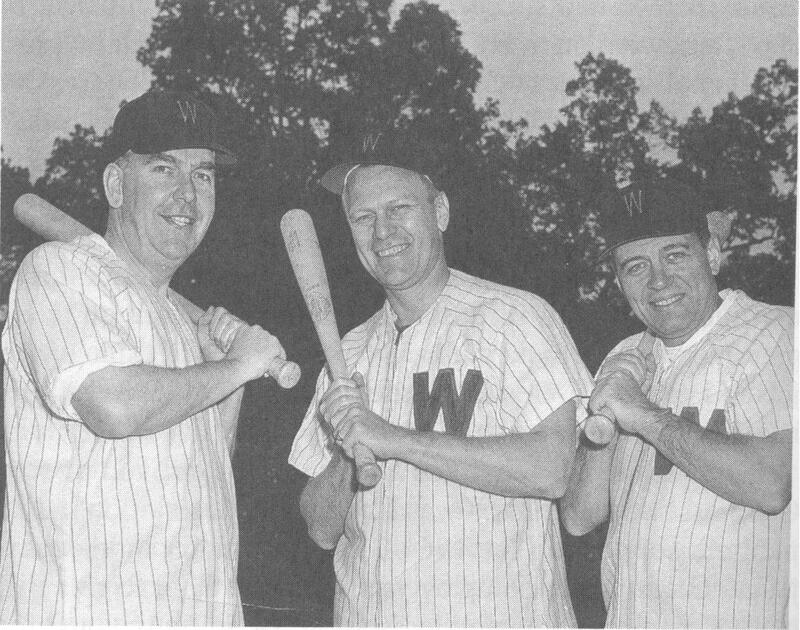 Rep. Glenn Davis, right, and Gerald Ford, center, with a third member of the Republican baseball team, probably in the mid-1950s. Reading the baseball article in the latest issue of our history magazine/newsletter, The Capitol Dome, USCHS staffer Steve Livengood was reminded of the story told by former President Gerald Ford at the memorial service for the late congressman from Wisconsin, Glenn Davis. Davis had been a semi-pro baseball player before he was elected to Congress in 1947, and he took his baseball as seriously as he took his politics. He even had the first home run ever hit by a member of Congress out of the new DC Stadium (now called RFK Stadium). Because of his expertise, Glenn often coached the Republican team. Ford characterized Glenn’s personality with this anecdote: one year when Ford was Minority Leader of the House, before he became vice president, he had been too busy to practice with the Republican team. Ford nonetheless suited up for the game, but Glenn was a stickler for the rules; since Jerry had not shown up for practice, Glenn would not let him play in the game, even though he was the minority leader. See what memories our newsletter brings up for you. 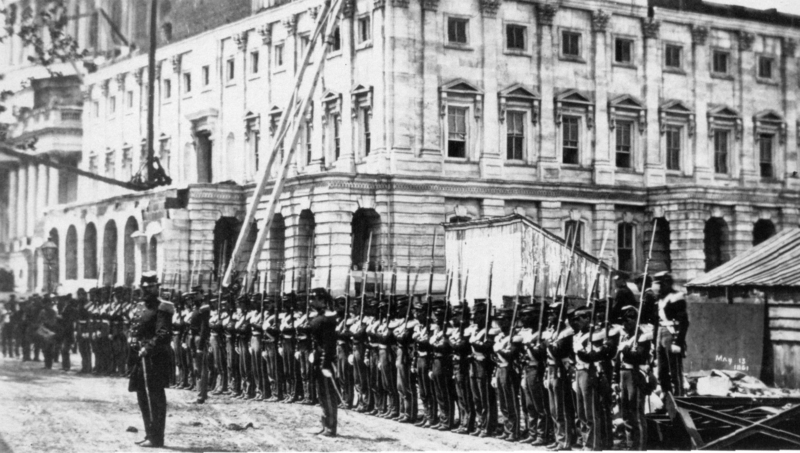 This issue also includes articles on the Capitol during the Civil War, stained glass windows in the Capitol, and a Congressional letter from 1800, as well as a review of USCHS events. Find the online version here, where you can also download a pdf of the Dome. Smith, Kevin B. The Iron Man: The Life and Times of Congressman Glenn R. Davis. Lanham, MD: University Press of America, 1994.